Smores is approximately 6 months old. He came to us with a broken leg but it’s all healed now. 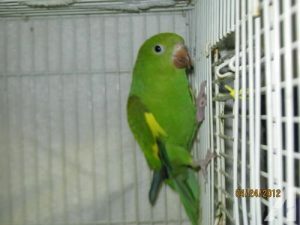 He would love a home with an experienced bird parent. If you have the space and time for a small bird then Smores is the one for you.